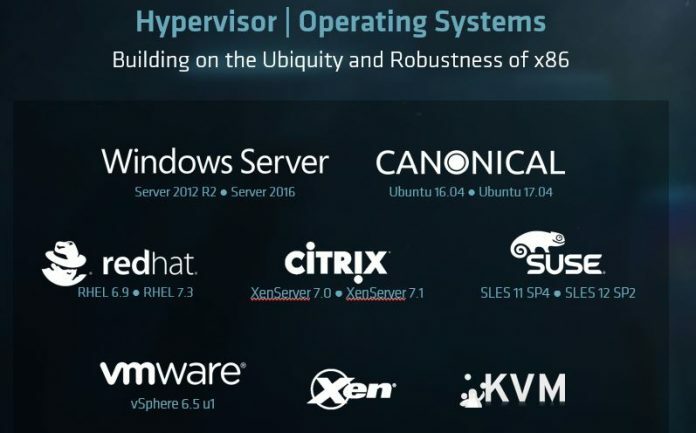 We wanted to take a moment to highlight an important piece to the AMD EPYC launch, the OS and hypervisor compatibility. While one may think “it is x86, it will work with anything,” that is not necessarily the case. 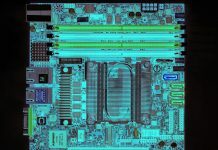 There are architectural and enumeration differences between traditional Intel architectures and AMD which make OS compatibility a box to tick with any new processor offering. We started testing for OS and hypervisor compatibility with AMD Ryzen. We knew there was a chance the new architecture would cause challenges and we were not disappointed. For example, we tried VMware ESXi 6.5 with AMD Ryzen and saw an error upon installation. The fix was easy, one simply needed to turn off AMD SMT which meant that we lost one additional thread per core on the platform. We also had guides to fix Ubuntu and CentOS, two extremely popular Linux distributions, so they would work with AMD Ryzen. The reason we went to such great lengths during the Ryzen launch to test OSes other than Windows was simple, we knew AMD EPYC (or “Naples at that time) was imminent. We have seen some cases where AMD EPYC is similar to Ryzen and some cases where the way components show up in the OS are different with EPYC so the previous work on Ryzen is not necessarily attributable to the shipping EPYC line. 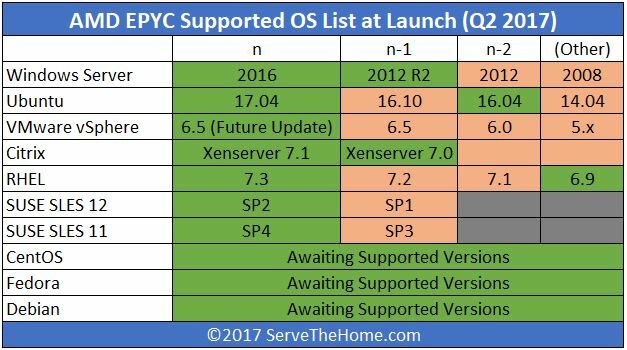 We asked AMD for an OS compatibility matrix back at OCP Summit 2017 as part of the future launch materials. During the launch event, AMD displayed a version of a matrix that was better suited towards on-stage presentation. This is important for internal IT organizations as well as VARs to understand. Beyond this, there are additional nuances so we expect that the lists most useful will be those by vendors such as Dell, HPE, Supermicro, and Lenovo in terms of what OSes they will support with their versions of hardware. We did ask for clarification on the hypervisor side. For example, KVM is supported but we do not know which OSes it is supported under. Likewise, Hyper-V was not called out. Update 1: AMD confirmed Hyper-V is supported as part of the Windows Server family. The VMware vSphere 6.5u1 on the AMD-related slide we have been requested to refer to as a “future update” pending release. Update2: CentOS, Fedora and Debian supported versions are forthcoming. We are awaiting version information. Other important OSes such as CentOS, Debian and etc. are not listed. We will be trying them out in the lab as we get a chance to give our readers a sense of how well they work. Beyond this, we have started testing OSes. Thus far we have verified that Ubuntu 17.04, Windows Server 2012 R2 and Windows Server 2016 work out-of-the-box with AMD EPYC. We have a number of these videos on our new YouTube channel and will post more as we get time. Although they are not overly entertaining, hopefully, our readers can use them with internal/ external customers to show that AMD EPYC indeed will work. There are a few omissions that are important. For example, Ubuntu 14.04 LTS which will hit its end of support date in April 2019 is not on the list. At the end of the day, we understand the decision to support a limited number of OSes. The newer revisions (e.g. Ubuntu 16.04) have a longer remaining lifespan. Adding EPYC to the stable did mean that, for example, we are having to re-build our entire benchmarking suite based upon Ubuntu 14.04 almost a full year early. Of course, if you compare this to moving onto another alternative platform, such as an ARM64 based solution, the OS compatibility of AMD EPYC is outstanding. 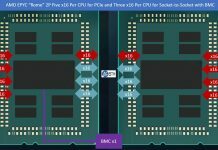 Will EPYC work with Windows 10 Pro? I would expect so. We have not tried it yet. Use threadripper for win 10 pro. EPYC is for server platform. Comparability is never a certainty. See this “Warning” posted to the debian-user@lists.debian.org and debian-devel@lists.debian.org Mailing Lists: https://lists.debian.org/debian-devel/2017/06/msg00308.html . 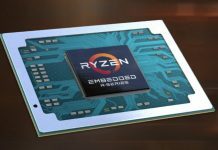 Quote: “Skylake and Kaby Lake processors could, in some situations, dangerously misbehave when hyper-threading is enabled. Short Loops Which Use AH/BH/CH/DH Registers May Cause Unpredictable System Behavior. Problem: Under complex micro-architectural conditions, short loops of less than 64 instructions that use AH, BH, CH or DH registers as well as their corresponding wider register (e.g. RAX, EAX or AX for AH) may cause unpredictable system behavior. This Bug was hiding in the Microcode for a long time. Worse is that the people who discovered it weren’t notified when a fix was released. I need the cores, mem bandwith and de PCIe lanes. I hope STH can check it out when they get a system to do real benchmarks. Ryzen doesnt work with KVM (properly) due to NPT problems which are present in TR and probably Epyc as its ALL AMD CPUs that have the issue. KVM needs a fix… AMD are pretending the issues are not existing! I wonder why i can’t install Server 2016 on a Threadripper. What did i miss here? The setup doesn’t even boot through. @Harald Krennrich: Faced with the same issue, on Taichi X399 and 1950X threadripper. The cure was to disable IOMMU totally from within UEFI BIOS. Not sure who needs to address this. AMD with their microcode updates or MS on their server core kernel. I am yet to evaluate the impact of this on performance if any. I am mostly doing FPGA flow runs and other design sim runs on this rig at work.